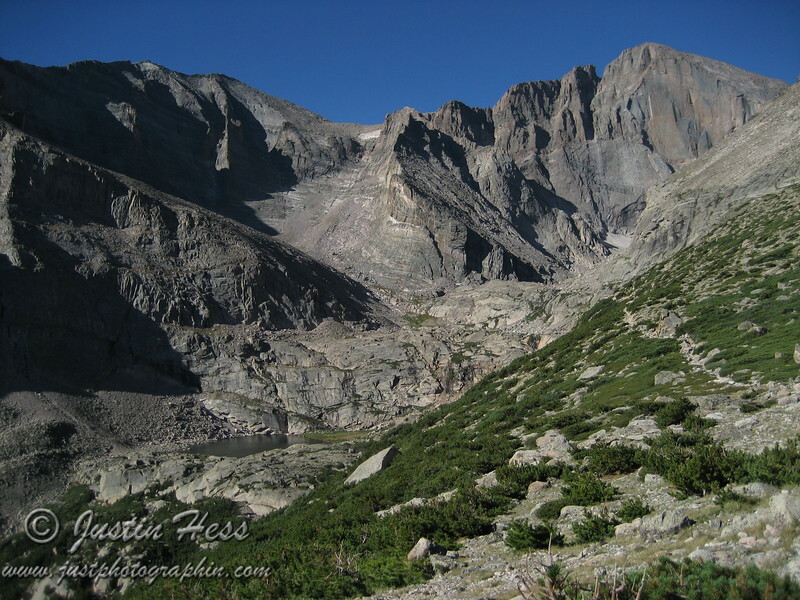 The Keyhole is a feature on Longs Peak. Many people that visit Rocky Mountain National Park attempt to summit Longs Peak which is the tallest peak in the park with an elevation of 14,259 feet. The most popular route to the summit is via the "Keyhole Route" during the summer. This album showcases the trek to the Keyhole that I made on August 27th, 2012. Meeker and Longs Peak as seen from the Chasm Lake junction.